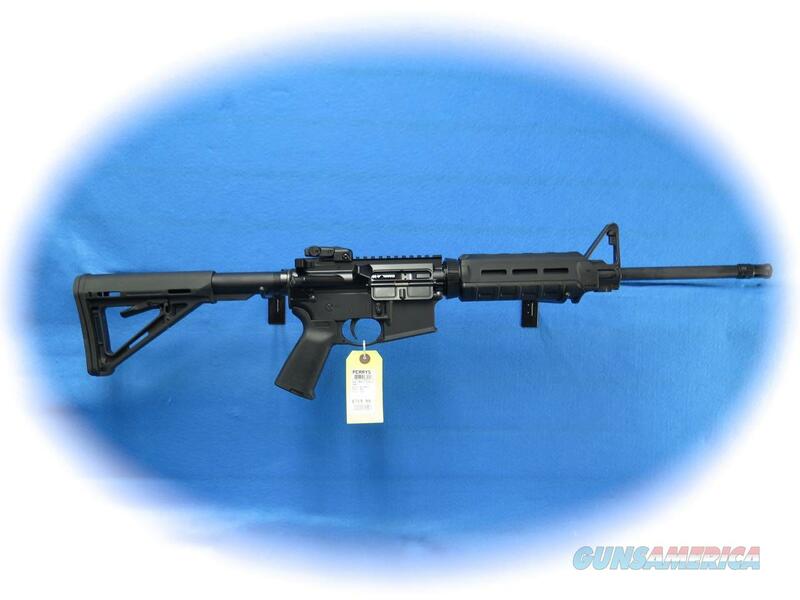 Description: Ruger AR-556, semi auto rifle, 5.56mm caliber, Model 8515. Ruger® Rapid Deploy folding rear sight provides windage adjustability, and pairs with the elevation adjustable front sight for a solid, reliable aiming system. The rear sight can be folded out of the way to make room for optics, but can be instantly redeployed if needed. Six-position telescoping Magpul® MOE® Carbine buttstock and Mil-Spec buffer tube allow the rifle to be properly sized for different shooters, or varying levels of outerwear or defensive gear.